Vancouver lawmakers are pondering whether to adopt pet policies similar to those in Ontario, which prohibit landlords from restricting pets. According to Councillor Tim Stevenson, the low vacancy rate in Vancouver, coupled with the fact that the city supplies over one-fourth of the rental housing for the province, and that over half of Vancouver residents are renters are factors, which combined, make it difficult for pet owners to find housing in the province. The current law in B.C. gives landlords the right to prohibit pets altogether, or to restrict pets based on size, kind or number. 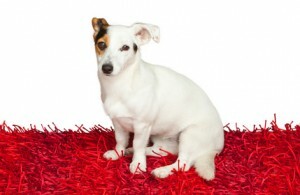 Landlords who allow pets are entitled to collect pet deposits to offset any damage the pet causes. In a Motion calling for debate on possible changes to the pet rules, Councillor Stevenson references Ontario’s Residential Tenancies Act, which renders any pet restrictions in a lease agreement void. The Ontario Act also provides that if an animal behaves badly, causes damage or other injuries, a landlord can ask to evict. Ontario landlords are not allowed to collect pet deposits. Stevenson says that providing more pet-friendly housing would serve to support renters, one of the city’s priorities, and has asked that the Seniors Advisory Committee, the BC Apartment Owners and Managers Association, and the Renters’ Roundtable provide recommendations to Council in order to develop rules that increase the availability of pet-friendly rental properties. As a landlord, I feel this is a violation of my rights. I own the damm property, so that choice should me mine.